Petswelcome.com / Articles / Who Let The Dogs Out? The answer is the judges, the breeders, and all of the handlers at the 2011 Westminster Kennel Club show at Madison Square Garden. They were all out in force from the smallest Chihuahua (at 4 inches) to the tallest Great Dane (at 43 inches), and all of the dogs in between. 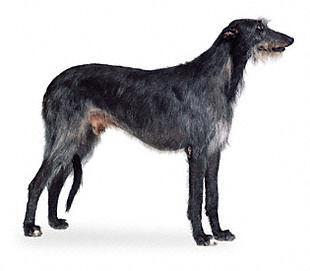 The ultimate winner was Hickory, a Scottish Deerhound. And through petswelcome.com’s Westminster Kennel Club Contest, we sent two lucky people to the show, Lorrie (the winner) and Sandy (her friend). They spent three glorious nights at the luxurious 70 Park Avenue Kimpton Hotel on 38th Street and Park Avenue (extremely pet-friendly!) and enjoyed the evening’s Happy Hour each night. Along with some prize money, they also had two full days at each of the judging events at Madison Square Garden. We met them on Tuesday, day two, and we all took pictures of the dogs and each other. If you’ve never been to the show, it’s really an exciting event. There are a number of rings set up where each of the various breeds takes turns being judged. But backstage, you can wander among all of the four-legged contestants getting groomed, fed, or just generally lazing in their crates. Back to our lucky contestants (Sandy, by the way, prepared the YouTube video Westminster 2011/ Petswelcome.com) who got to go to the special after-judging party at the Garden—champagne and a light dinner, attended mostly by the judges. They also went to the William Secord Gallery to see their incredible dog paintings, and they received a copy of their newest book, “The American Dog at Home, The Dog Portraits of Christine Merrill” that featured pictures of famous people and their dogs. All, we might add, modestly, courtesy of petswelcome.com. We know they got home okay (we saw the pictures) back to their families and dogs. A special thank you from us, also, to the Kimpton Hotel. It was a great time had by all. Stay tuned for our next contest, coming soon.